By Craig Whitlock and Thomas Gibbons-Neff, The Washingtong Post ~ U.S. Special Operations forces have opened a new front in their hunt for the African warlord ­Joseph Kony, moving closer to his suspected hideout in a lawless enclave straddling Sudan and South Sudan, according to military officials and others familiar with the operation. As their mission stretches into a fifth year, however, U.S. troops have turned to some unsavory partners to help find Kony’s trail. Working from a new bush camp in the Central African Republic, U.S. forces have begun working closely with Muslim rebels — known as Seleka — who toppled the central government two years ago and triggered a still-raging sectarian war with a campaign of mass rapes and executions. The Pentagon had not previously disclosed that it is cooperating with Seleka and obtaining intelligence from the rebels. The arrangement has made some U.S. troops uncomfortable. The Seleka rebels “are playing us,” said one military official who spoke on the condition of anonymity because he wasn’t authorized to talk with reporters. The official described Seleka as a “mafia” that is trying to curry favor with the Americans even as the rebels extort local villagers and engage in illicit trade with Kony’s fugitive fighters. About 100 U.S. military advisers are deployed across four countries to guide the international campaign to catch Kony, whose brutal militia, the Lord’s Resistance Army (LRA), has raped, abducted and killed tens of thousands of people over the past three decades. After first sending U.S. forces to central Africa in 2011, President Obama must decide next month whether to reauthorize the deployment and extend it for at least another year. Some senior U.S. military leaders have been lukewarm about the mission, citing its duration and the fact that Kony does not pose a direct threat to American interests. But the operation still draws strong bipartisan support on Capitol Hill, and many expect the White House to stay the course. A Ugandan guerrilla with a messiah complex and an uncanny survival instinct, Kony has eluded capture despite the best efforts of the Pentagon and the State Department, which is offering a $5 million reward for information on his whereabouts. Although Kony is still on the loose, U.S. officials and backers of the mission cite several measures as evidence of progress. The estimated number of LRA fighters in recent years has dropped by more than half, to fewer than 200. 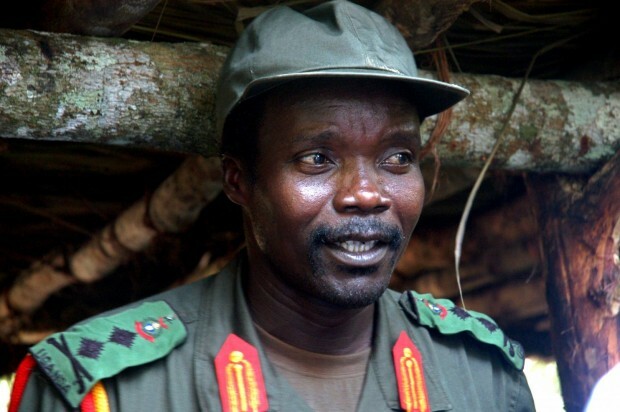 Four of Kony’s senior commanders have been killed or captured. Reported civilian abductions have fluctuated but dwindled overall. Tens of thousands of villagers who fled the LRA have returned home. Paul Ronan, project director for the Resolve, a human rights advocacy group that tracks the LRA, said the U.S. government would lose credibility if it declared victory prematurely. Peter Boogaard, a spokesman for the National Security Council, declined to comment on whether Obama would extend the mission but said the U.S. strategy had proved effective. To track down Kony, the U.S. military and allied African forces are trying to navigate a territory the size of California with few roads and plenty of thick jungle terrain. But the biggest obstacle may be a wave of political turmoil that has further destabilized already weak countries. Two U.S. military camps are located in the Central African Republic, which is still embroiled in the sectarian civil war sparked by Seleka. Dozens have been killed in recent days in renewed clashes in the capital, Bangui, which has been seized by anarchy despite efforts by the United Nations and outside powers to restore calm. Another U.S. camp is in South Sudan, a country that declared independence four years ago with backing from Washington but that has since become gripped by its own civil war. U.S. military advisers are also posted at a small base in Congo, yet another weak state racked by warlords. Kony has exploited the turmoil by moving from country to country, and he is now believed to have taken refuge in Sudan. U.S. officials and analysts say Kony and LRA fighters operate primarily from the state of South Darfur and a disputed territory, Kafia Kingi, that is controlled by Sudan. Sudan is a longtime antagonist of Washington, and U.S. Special Operations forces are prohibited from entering the country. Instead, a small team of American advisers this year set up a new camp as close as possible, inside the Central African Republic, about 30 miles from the border with Kafia Kingi. Although the camp is new, U.S. forces have surveyed, selected and occasionally used landing zones in the area since 2013. The rudimentary base is near the town of Sam Ouandja, an area rife with smugglers and controlled by a local Seleka faction. “When you do a map of who has power in the area, they’re the ones. They have the guns,” said Lisa Dougan, president of Invisible Children, an advocacy group that drew worldwide attention to the LRA’s atrocities three years ago with a video — “Kony 2012” — that went viral on the Internet. Seleka and the LRA have a tumultuous history. Sometimes they engage in open warfare; other times they do business. When the two sides aren’t shooting at each other, LRA fighters often cross the border from Sudan into the Central African Republic to sell gemstones or elephant tusks in exchange for food and weapons, according to advocacy groups and U.S. officials. As a result, Seleka warlords have become as well-versed as anyone with the LRA. That, in turn, has led the U.S. military advisers — despite Washington’s distaste for the rebels — to work closely with Seleka. According to U.S. military officials, the team of U.S. troops in Sam Ouandja meets regularly with Seleka leaders, obtains intelligence from the rebels and sometimes provides medical care to Seleka loyalists. The cooperation is a sensitive subject. The Pentagon doesn’t advertise its dealings with Seleka and declined to comment in detail about the interactions. The U.S. military official who was critical of the cooperation said Seleka is trying to win legitimacy by appearing to help the Americans look for Kony. But he suggested that Seleka cannot be trusted and that the rebels are too cozy with the LRA. The first signs of U.S. contacts with Seleka surfaced in January when the rebels announced they had captured Dominic Ongwen, an LRA commander with a $5 million U.S. bounty on his head. Seleka leaders handed Ongwen over to U.S. forces and publicly asked for the reward. At the time, U.S. officials portrayed the incident differently, playing down Seleka’s role. Although they acknowledged taking custody of Ongwen from the rebels, they described him as a defector who surrendered. They declined to say whether Seleka received any reward money. The headquarters of the U.S. operation is in Entebbe, Uganda. Although Kony has not been spotted in his native Uganda in many years, Ugandan soldiers provide the backbone of an African Union force that works closely with U.S. advisers to hunt the LRA. Fresh U.S. troops rotate into the region every six months or so, which has made it difficult to build a strong working relationship with the Ugandans, according to people familiar with the mission. Another source of friction: disputes over the use of scarce transport aircraft. In one instance, the Ugandans arranged for a U.S. helicopter to resupply their soldiers at a remote base in the Central African Republic — but only loaded the aircraft with five heads of cabbage, according to the same U.S. military official. The Pentagon has made mistakes in equipping the operation. In March 2014, U.S. defense officials announced with fanfare that they were deploying four CV-22 Osprey transport aircraft to Uganda, along with refueling planes and 150 additional personnel. The aircraft and extra troops, however, were yanked out of central Africa after just three weeks. Maj. J.B. Brindle, a Pentagon spokesman, said the Ospreys were withdrawn because of “changing operational needs” and a high demand for the aircraft elsewhere. The U.S. Special Operations forces rely on private contractors to fly surveillance aircraft in search of the LRA. But that arrangement has foundered as well. According to a second U.S. military official, private contractors work “to the beat of their own drum” and are slow to relay surveillance data to U.S. forces on the ground. More often than not, potential leads on the LRA don’t pan out, with U.S. forces committing aircraft and personnel to far-flung searches that yield no results.